Has spring arrived where you are? We still seem to be stuck in the doldrums of winter here in Northern England. 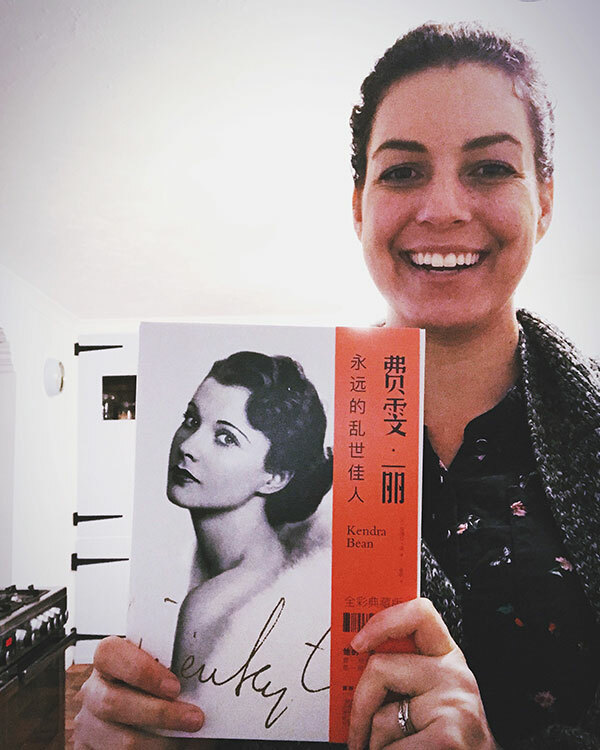 There was a metaphorical bright spot about a week ago when I learned that my book, Vivien Leigh: An Intimate Portrait, was translated into simplified Chinese and published in China! 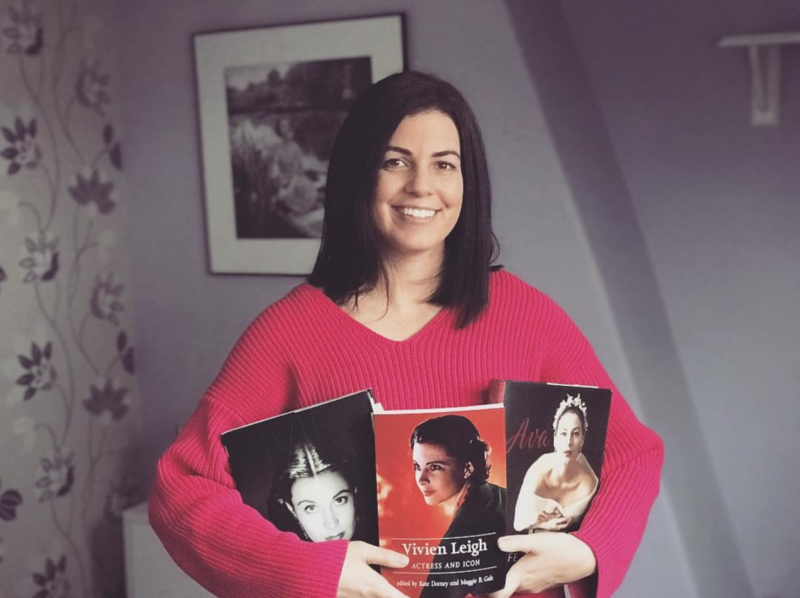 They’ve apparently changed the title to something like Vivien Leigh: Forever Gone With the Wind (because sure, why not!) and the cover is different as well. But the photos and, I’m assuming, the content remain the same. I quite like the design! In other news, the weather is horrible today, a perfect excuse to say in with a cup of tea and a box of Viv and Larry ephemera. Work on digitising and cataloguing the Richard Mangan Laurence Olivier Collection continues apace. I’m currently finishing up with box 7 and have repackaged 11 boxes of material, thanks to the support and generosity of the Viv and Larry Patrons. Some people may find cataloguing archives to be boring and tedious, but I actually really like getting stuck in with this sort of work. It gives me an opportunity to carefully look at and consider each photograph, playbill, etc. Plus, it’s kind of soothing. I do it all the time during my day job. Just stick my headphones in, turn on Spotify, and off I go. Here are some highlights from Box 5. As of this writing, I’m up to 1947 in Olivier’s stage career and have catalogued 784 individual pieces of ephemera. During the past month I’ve steadily continued with repackaging, cataloguing, and digitising the Richard Mangan Laurence Olivier Collection. As a result, I’ve happily managed to get ahead with a few of the boxes, which means I can share updates more regularly. As of this writing I’ve catalogued 605 individual pieces of ephemera (!!). 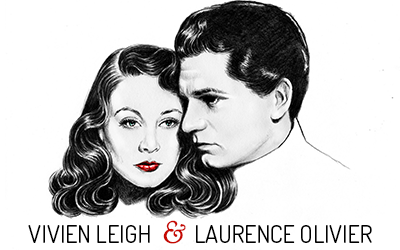 That’s taken me up to…1945 in Laurence Olivier’s stage career. But hey, it’s not a race! 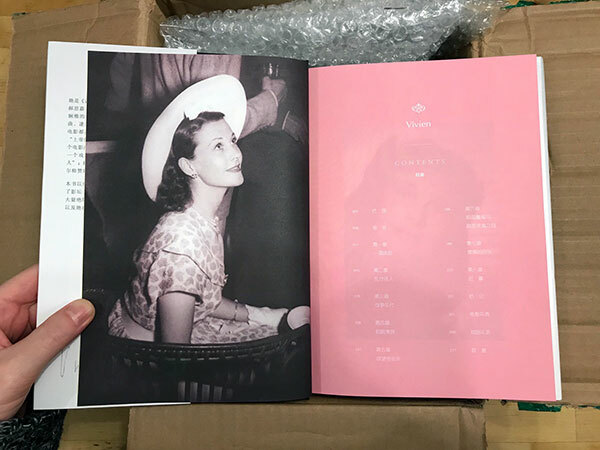 Here are some highlights from Box 4 (1935-1937), when Vivien Leigh finally enters the picture. As ever, special thanks to the Viv and Larry Patrons for helping me to afford archival supplies! You guys are the greatest. Hello, 2019! I hope you all had a wonderful holiday season. The new year has brought a new look to this site. I like to freshen things up every few years and just felt like returning to a basic blog layout to make things more user-friendly. Instead of a static page of blog posts you should now be able to easily visit old posts by using the “older posts” link at the bottom of each page. The photo gallery still has the old layout but it should be changed over soon. I’ve also highlighted in the sidebar two things I’m currently hard at work on: Insatgram and the Viv and Larry Patreon. Please do take a minute to familiarise yourself with the new layout and let me know if you find any broken links or things that just aren’t working. Progress report! The Richard Mangan Laurence Olivier Archive cataloguing project is going smoothly. I’m currently finishing up with box 3 and trying to keep ahead of the game so I can share regular progress reports with all of you. As mentioned in the post about Box 1, each item is catalogued in a spreadsheet, scanned (playbills and photos only at this point), placed in an archival-grade acid free sleeve, and then stored in a special archival box. I’m not sure why archival materials are so expensive, but they are, and I wouldn’t be able to undertake this project without the help of the lovely Viv and Larry Patrons. Thank you so much for your support! 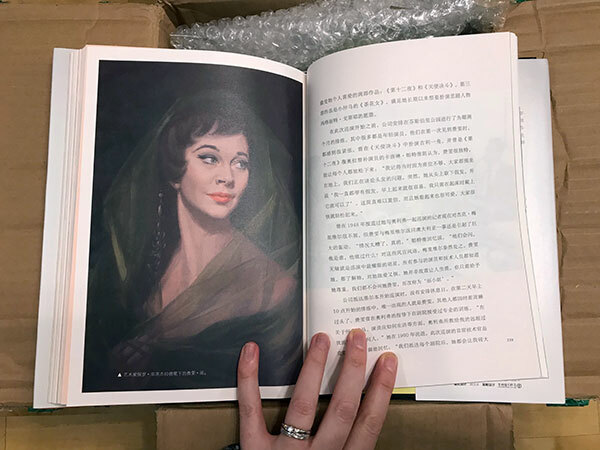 I mentioned a few weeks ago that I’d recently purchased a major Laurence Olivier ephemera collection, which I’m currently in the process of repackaging and cataloguing — similar to what I did with the Vivien Leigh private photo albums. I always enjoy seeing other people’s collections, unboxing videos, reveals, etc. so I thought I would share some goodies from each portion of this project as I go along.